The claims seem too good to believe: Save 42%! (or more)? Does the San Francisco CityPASS really deliver? I wanted to know - and figure you do, too. I clicked on all the pages and checked all the attractions. I looked at the competitors, got out the calculator, added it up and read all the fine print. The analysis is finished, and I'm here to share our findings with you. San Francisco CityPASS: What Is It? CityPASS is one of several San Francisco multi-attraction discount cards. You buy one pass for several attractions and activities at a discounted price, saving money - at least in theory. The analysis below will help you figure out whether it will help you save on your trip or not. Buy the CityPASS for one price and use it at each attraction. After you use it for the first time, you'll have up to 9 consecutive days to enjoy the other included attractions before it expires. You can stay out of line at the attractions if you buy it online - or you can get it at the box office of any included attraction. 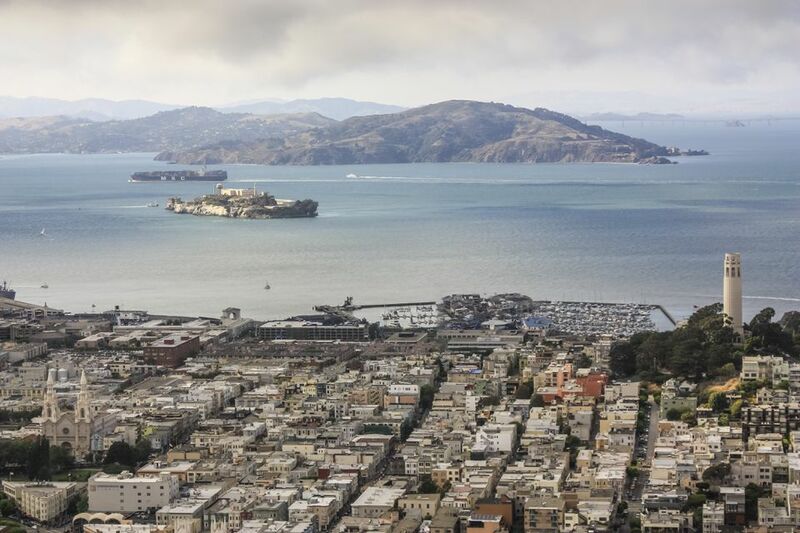 The Exploratorium and cable cars are the only attractions that make our must-see list. You'll find out more about them in the guide to some of the best things to do in San Francisco. CityPASS is the only multi-attraction pass that includes the transport pass and Exploratorium. Alcatraz is a national park. Unfortunately, that makes it more difficult for visitors to get and use passes that include it. If you want to do both the bay cruise and Alcatraz, just buy the regular CityPASS and get your Alcatraz ticket separately. Find out how in the Alcatraz Guide. If you want to substitute Alcatraz for the CityPASS bay cruise, the option is somewhat hidden on their web page. Here's how to do it: Call Alcatraz Cruises at 415-981-7625 and tell them you want to buy a CityPASS. They will give you a reserved tour time and will replace the bay cruise ticket in the CityPASS booklet with an Alcatraz ticket. If Alcatraz is your first San Francisco attraction, pick up your booklet at the Alcatraz Cruises box office. If you're going somewhere else first, they can mail your booklets to you. All of that requires planning in advance. Alcatraz sells out in advance - and if you want them to mail the tickets, you'll need to allow time for the mail to arrive. Will the San Francisco CityPASS Save You Money? The short answer: At the risk of sounding evasive or flippant: It depends. If you want to do everything it covers, it will. If you're not interested in museums and aquariums, you'll pay less if you buy the rest separately. The only way to know for sure: Add up the full-price costs of each attraction or activity you want to do and compare that to the CityPASS cost. See the other pass options listed below to find out whether one of them might better fit what you want to do. If you want to buy a CityPASS after reading this evaluation and use the link that follows, you should know that I may earn a small commission which helps to support in-depth review such as this. Buy your pass online to save time standing in line. You can also buy the CityPASS at the box office of any included attraction.